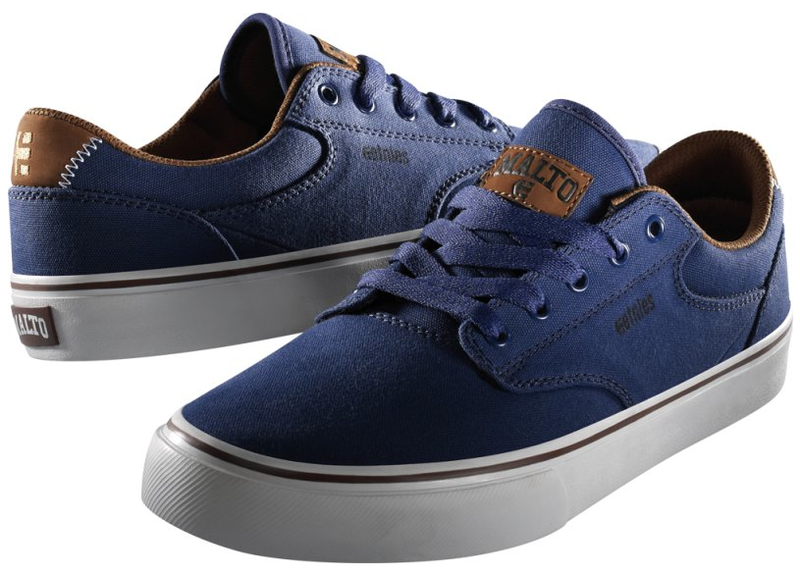 A slim canvas vulcan from Etnies. Stylish in Navy Blue. Don’t fret, the brown on the tongue is not suede but good ol’ canvas of a different hue. The tongue is thin, padded collar, but low-cut with a strong re-enforced heel cup. Sort of reminds me of OG etnies I had back in the day.